One of the most highly decorated individuals in the long and storied history of the Lowell High School Wrestling program, Casey Boyle etched his name indelibly into the fabric of LHS athletics by establishing and maintaining a standard of achievement that was second to none. Casey epitomized the standard of excellence that has always been the benchmark of Lowell High School Wrestling. Casey was a contributing member of Coach Phil Maia’s highly successful Cross Country team (2003, 2004), but it was as a member of Coach Tim O’Keefe’s Wrestling team that he made his mark. Casey made an immediate impact during his freshman year (2001-2002). Wrestling at 103 pounds, Casey won both the North Sectional and Massachusetts Division I State Championships and advanced to the finals of the All-State Championships. He was a key contributor as the Red and Gray won the Massachusetts State Team Championship. Wrestling at 112 pounds as a sophomore (2002-2003), Casey duplicated his achievements from the previous year, again winning individual championships at the North Sectional and Division I State Tournaments. He also advanced to the finals of the All-States for the 2nd consecutive season. Casey reached the pinnacle of high school wrestling during his junior season (2003-2004 ), sweeping honors in the 119 pound weight class by winning his 3rd consecutive individual title at both the North Sectional and Division I State Tournaments. He continued on to win his 1st Massachusetts All-State Individual Championship, leading the Raiders to another Massachusetts State Team Championship. He then capped his season by winning the New England Championship. His New England Championship bout was voted as the Best Finals Match in the Tournament. Casey was voted by USA Wrestling Magazine as the top high school wrestler in New England for 2004. As a senior (2004-2005) team Captain Casey concluded his career by once again winning individual championships at the North Sectional, Massachusetts Division I State, and Massachusetts All-State Tournaments, as Lowell won yet another Massachusetts State Team Championship. Casey was selected as the Outstanding Wrestler at All-States. He ended his season with a second place finish at the New England Championships. 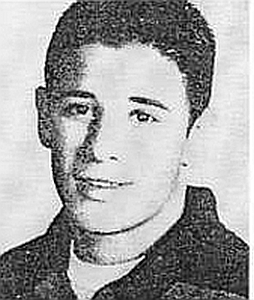 At the conclusion of the season, Casey was named by the National Wrestling Hall of Fame as the Massachusetts recipient of the prestigious Dave Schultz High School Excellence Award, presented annually to a high school wrestler who has demonstrated outstanding wrestling success, scholastic achievement, and citizenship/community service. Among his countless accomplishments at Lowell High School, Casey became the first Lowell High School wrestler and one of only a few statewide, to win four consecutive State Championships. He concluded his career with an incredible overall record of 177-9. After graduation Casey attended Loomis-Chafee Prep School. The team’s Captain, he won an individual Prep State Class A Championship. He was named to the Prep School All-American Team as he led Loomis-Chafee to the New England Team Championship. Casey attended the University of North Carolina-Greensboro on a scholarship and wrestled for four years, captaining the team as a senior (2009-2010).